Relax and enjoy sea views over Russell and across a bushclad valley. Villa 3 is a cosy and comfortable retreat for the family or a group of friends. Located within walking distance of cafes, shops, local attractions and the nearby beautiful beaches of Long Beach and Tapeka. Stunning views, well appointed villa - perfect for what we needed. Fantastic location with superb views. Very clean and comfortable. Would love to return. Very tidy, stunning bush and bird life right next to us. Amazing views. thank you..would welcome you back anytime!! Fantastic location, although we are very familiar with the Bay of Islands area. 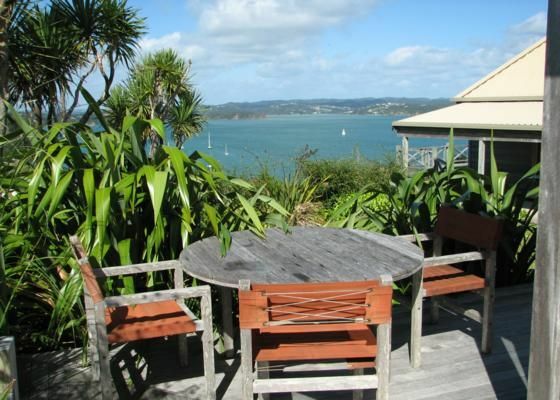 Fantastic location, although we are very familiar with the Bay of Islands area. This was a great alternative to the place we usually stay in. Lots of space for the 6 of us and plenty of kitchenware, linen and towels, etc. Well set up including BBQ. We will go back.